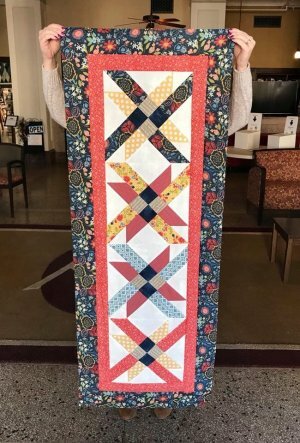 This weekend is our fun class making the table runner! We have a few ladies signed up but there is still time to join us if you are interested! 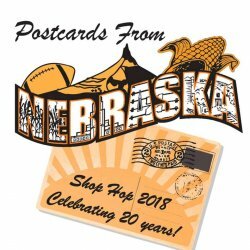 We've also got some fun things happening around the store as we are gearing up for Shop Hop! Let's check it out! We've got a couple of beautiful NEW wool kits ready for Spring! 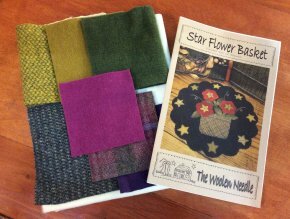 Check out The Star Flower Basket Wool kit. We've mixed things up to bring you a bright cheery mat, with a cream background and beautiful purple flowers on top - this kit is a quick project to put you in the mood for Spring! Check out On The Bright Side for another fun quick wool project! This one features beautiful birds on a cream background and is perfect for sprucing up any space! 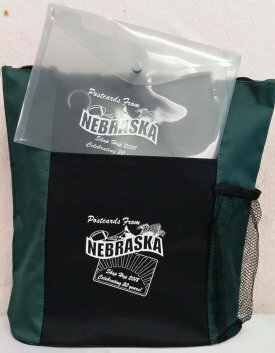 You've all been waiting and it's finally here! 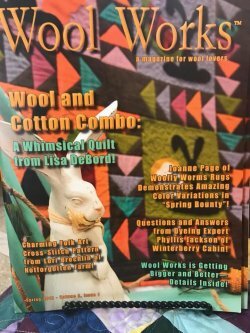 The latest issue of Wool Works Magazine! 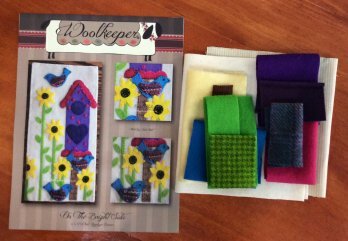 Jam packed with tips and projects for working with wool! Grab a copy today! P.S. did you know the cover girl for this issue is the lovely Lisa Debord from North Platte?? We got a shipment yesterday with some fun NEW books in it - watch our Facebook for a sneak peek of those! Have a fabulous weekend - and if you are around stop in and see us!